We need to talk about the future of food. 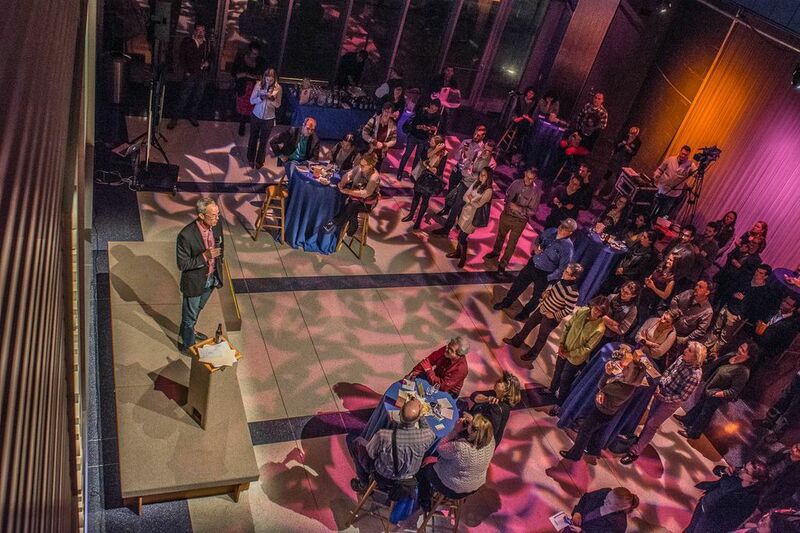 Join us on Thursday, January 21st for Boston Talks Happy Hour: The Future of Food. We'll drink craft beer and wine, and chat with other food lovers about what's on the horizon. Edgar B. Herwick (@ebherwick3) of WGBH's Curiousity Desk will lead the discussion with a panel of local experts: The Improper Bostonian's Managing Editor Matt Martinelli (@MattJMartinelli) will forecast local trends; thought leader David Gracer (@TheDaveGuy) talks eating bugs (have you tried the tasty cricket tacos at Tu Y Yo? ); and other surprise guests will offer insights into the changing food world around us. Come thirsty and curious. Hope to see you there!